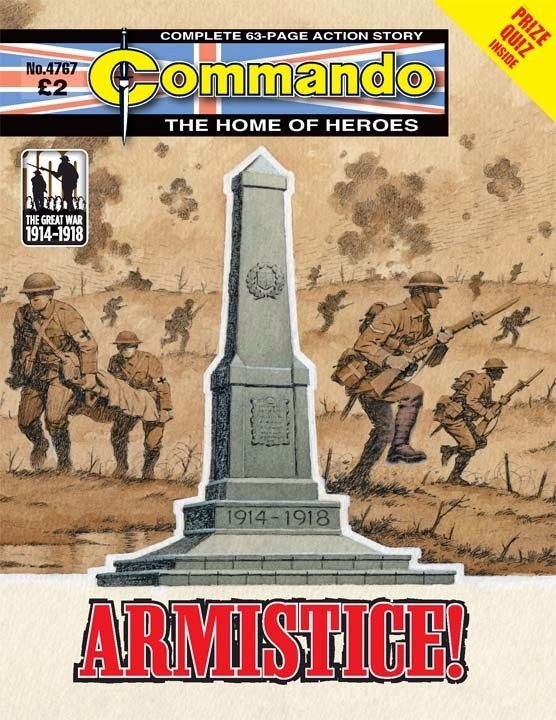 Commando No 4767 – Armistice! A little over four years later the guns finally fell silent. An armistice had been agreed. Now the surviving soldiers, sailors and airmen could return home and resume their lives. For some it wouldn’t be as simple as that, though. For some there were still battles to be fought — even if they couldn’t fight them for themselves. Our Great Warriors series is now finished. We have enjoyed putting it together for you and hope that you’ve enjoyed it too. 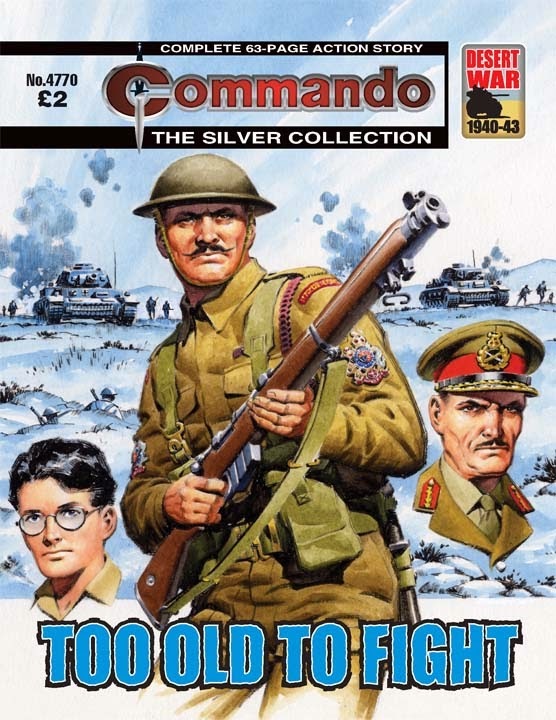 Perhaps you’d like us to do other series like this, perhaps not. Either way, let us know it’s always good to hear from you. Bert got his wish — but in a way that made his worst nightmares seem tame! Three thousand feet up in hostile night skies, alone with an unconscious pilot in a shot-up Beaufighter, the completely untrained Bert got his chance to fly a fighting plane — or to die trying! 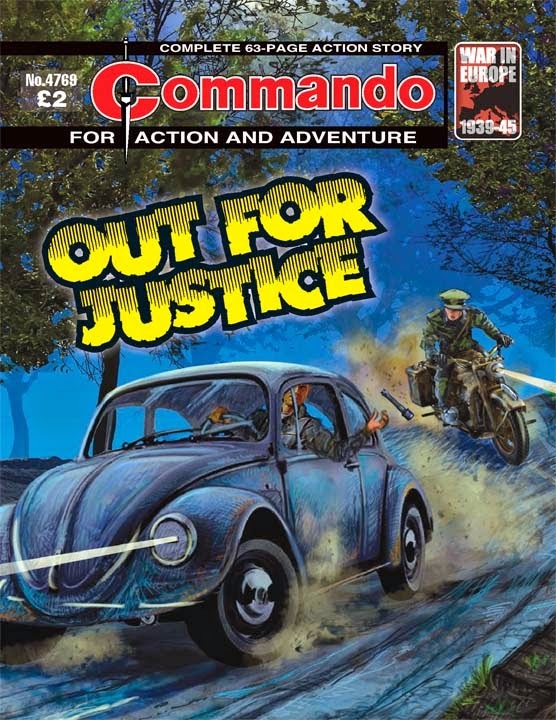 While we try to keep Commando as authentic as possible, we have taken liberties over the years. Sometimes the plots are well over-the-top, sometimes — like here — they’re just the tiniest bit far-fetched. It’s still very believable but... For all that it is a good yarn, one that’ll have you rooting for the main character. Let’s hope the author doesn’t let you down. 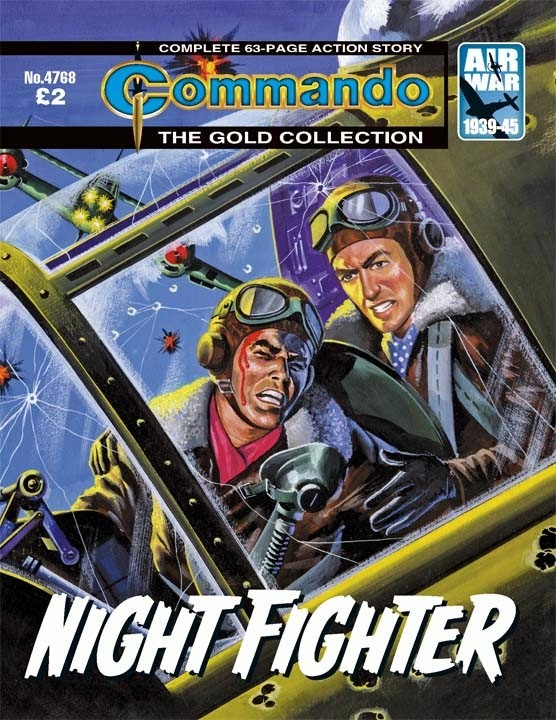 Inside artist, Medrano, is up there with the best of war aviation artists and his crisp, precise eye for detail adds an extra layer of enjoyment to the story. He’s also not afraid to use a lot of black ink, and does so to good effect. If “Too Old To Fight” were a movie, it could be described as a “Buddy Cop” action film — featuring two characters who initially dislike each other but who, when circumstances force them to work together, resolve some of their differences along the way.